Targeting customer group is the key to develop marketing and sales strategy for both manufacturers and distributors. Electric unicycle stages as the latest intelligent personal transporter based on aviation attitude control and build-in gyro-system, whose control and operation is quite different from traditional transporters. So who will be the major targeted customers? To be specific, it refers to commuters who are eager to find an alternative for public transportations. With urban traffic congestion deteriorating, commuters are eagerly looking for a cost-efficient and handy solution to address their commute problem. Students are always sensitive for frontier concept and ready to accept fresh products, therefore they’re willing to challenge themselves with a brand new electric unicycle . Those who workout daily to keep fit will find electric unicycles as an awesome workout gadget for daily refreshment. Hipsters and punks…trenders are always leading the world’s sensation and winning second glance by being the first to try something new. Hikers and backpackers are potential passionate fans of electric unicycle, because it’s designed as a handy personal transporter. Just power it on and set off for any destination as you wish. Patrollers, security guards, couriers…Riding the one wheel scooter to work place and service destinations improves their working efficiency and creating more fun in work. Actually the targeted customer group is not limited by the above mentioned ones as it’s been designed for everyone’s everyday life. 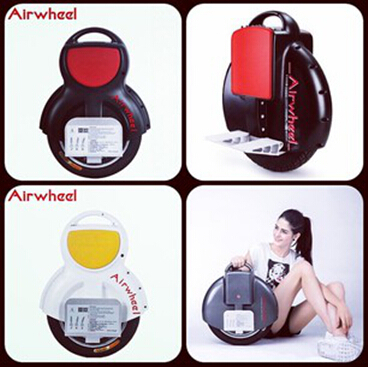 To get yourself one with high price-performance ratio, Airwheel is your best choice, visit www.airwheel.net to get more info about it!